Breaking the Plane is Inside the Pylon’s podcast dedicated to all things NFL. Hosts Matt Williamson and Jon Ledyard give you multiple shows every week breaking down all of the previous week’s games, as well as looking ahead at upcoming battles in the NFL. In the offseason, the conversation turns to the NFL draft and how each team can make the best use of its available resources to come back stronger next year. 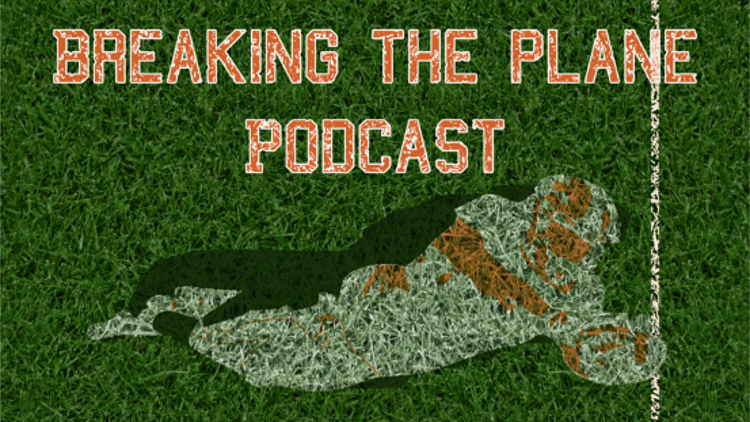 If you want the best NFL talk out there, make sure you subscribe to Breaking the Plane today. September 16 – The September 16 Breaking the Plane Podcast previews Week 2 of the NFL, which provides some interesting division matchups. September 14 – The NFL is finally back and Week 1 brought plenty of excitement. The September 14 Breaking the Plane Podcast recaps the first week’s action. September 10 – On the September 10 Breaking the Plane Podcast the NFC East division race is discussed as each team has the potential to win it, or finish last. September 9 – The NFL season is upon us and we’re wrapping up the previews for each division. On the September 9 Breaking the Plane Podcast the NFC North is previewed. September 7 – The NFC South is previewed on the September 7 Breaking the Plane Podcast and whether Cam Newton and the Panthers can repeat as division champs. September 6 – On the September 6 Breaking the Plane Podcast the AFC West is previewed as we see if Denver’s defense can carry them to another division title. September 1 – On the September 1 Breaking the Plane Podcast the AFC South is previewed as we try and figure out which team will win this competitive division. August 29 – On the August 29 Breaking the Plane Podcast, Matt Williamson and Jon Ledyard take an in-depth look at the Pittsburgh Steelers and the questions facing them. August 25 – On the August 25 Breaking the Plane Podcast, Matt Williamson and Jon Ledyard look at the wide open AFC North, which is filled with unanswered questions. August 23 – On the August 23 Breaking the Plane Podcast, a new in-depth NFL podcast from Inside the Pylon, Matt Williamson and Jon Ledyard discuss the AFC East.